With powerful features and customization, a Teamup Calendar was the right choice for keeping conference participants updated easily, in real-time. Women’s International Networking, or WIN, is an independent global women’s leadership organization. WIN models, develops, empowers and connects leaders in a feminine, authentic and global way. It is the reference for women working internationally and companies active in women’s leadership and diversity & inclusion. With a creative and holistic take on traditional business topics, WIN has transformed and celebrated thousands of women and hundreds of companies. 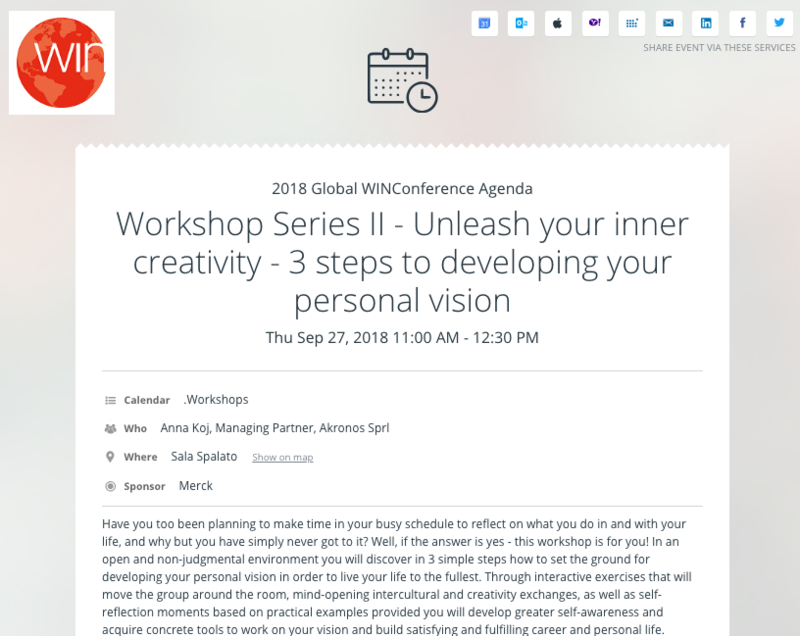 Through plenary sessions and workshops, the Global WINConference looks at the World, Work and You and how we can all make a contribution as agents of possibility. 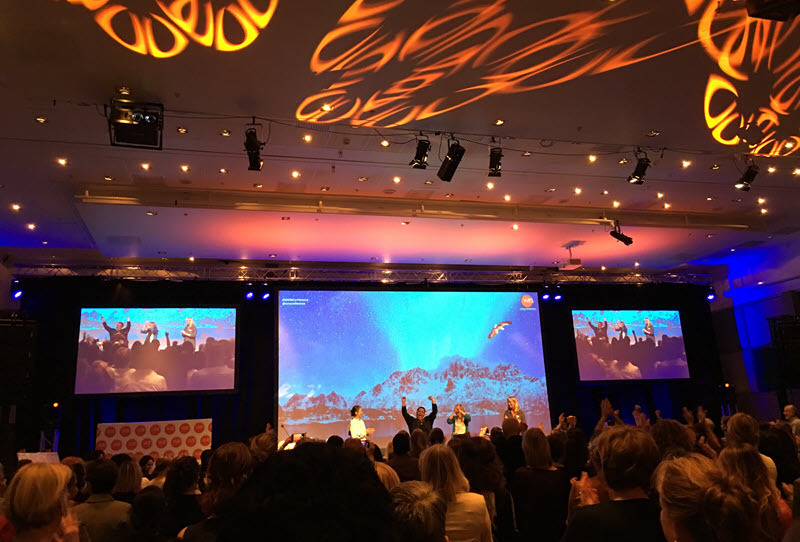 The Global WINConference is the most established forum on leadership and female empowerment in Europe and it has been running since 1998. In the past, the WINConference compiled and sent the conference agenda as a PDF file. The PDF agenda was emailed to conference participants shortly before the conference started. WIN also published a simple schedule on its website and published a list of speakers in a different section of the website. If the agenda shifted or the schedule changed, there was no way to inform conference participants quickly, except via another mass email. If the agenda changed, the entire PDF file had to be updated and resent. Participants had to shift between viewing the schedule and viewing the speaker information, making it more difficult and rather awkward for them to compare agenda options and choose sessions. For on-the-go participants, there was no easy way to view the conference agenda on their mobile devices. As the WIN team entered the final week of preparation for the 20th Edition of the Annual Global WIN Conference, taking place in Oslo, Norway, in September 2017, a Teamup Calendar was introduced. 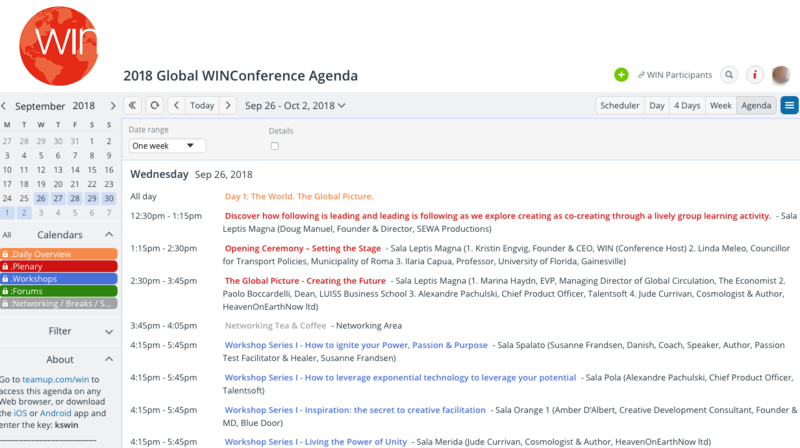 The WIN team was able to coordinate quickly with Teamup support; within days the full WINConference agenda was available to all participants on a customized Teamup Calendar. The use of Teamup Calendar was a great success for the 2017 WINConference. 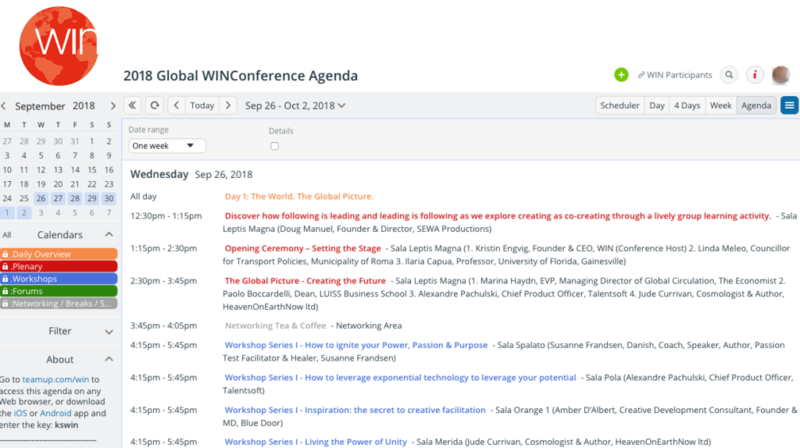 Given this success, Teamup was used again as the means of sharing the WINConference agenda for the 2018 WINConference in Rome, Italy. 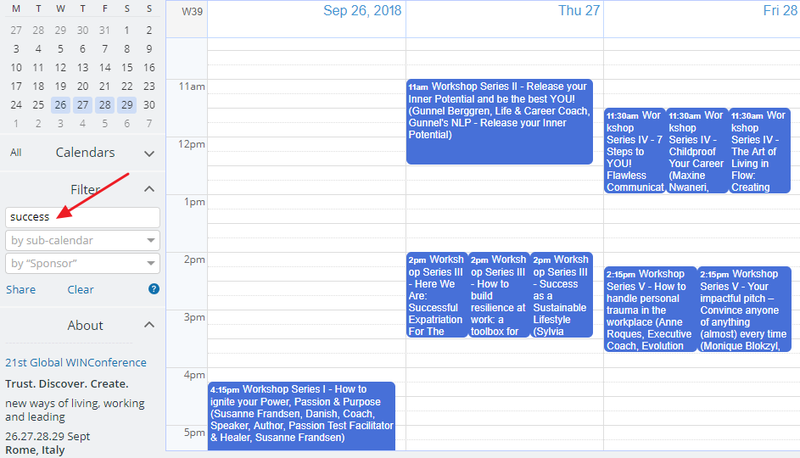 The WINConference agenda in the Agenda calendar view. Participants were given direct access to the WINConference agenda. For ease of use and sharing, Teamup provided a special shortcode: teamup.com/win. Post-conference feedback from the 2018 conference showed that having the full conference agenda and session details available on their mobile devices was helpful and convenient. Thank you so much!!! This year the app worked really well and people loved it! A WinConference Agenda seen on Teamup mobile app in List view. 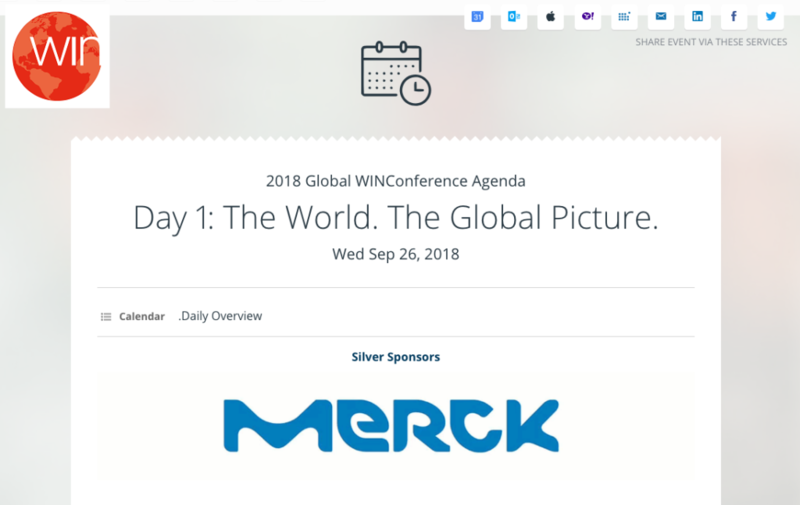 A unique addition to the 2018 WINConference calendar includes the rotating logos of the three main sponsors: Shell, Novartis, and Merck. These logos were included in the session descriptions, creating extra value for the conference organizers as a way to deliver brand messages. Click the image to open the event webpage and see the live version with rotating logos. Several unique features of Teamup Calendar, used wisely to distribute the conference agenda and make it easy to use for participants, made this user story a complete success. Selected calendar views: The WINConference was set to include 5 calendar views most useful for participants. The 4-day view and Agenda view, with and without details, were especially useful for this event. Event details for all needed information: The location, session timing, session description, and speaker info–along with speaker photos and sponsor logos–are now in one place, the calendar. Participants could access all pertinent information in one place, instead of having to click to different sections of the website. In this view, events are filtered by keyword “success.” Similarly, filtering by a speaker name would let you quickly see when and where that speaker will be speaking. Mobile apps for iOS and Android: The Teamup mobile apps, available on both iOS and Android, made it very easy for conference participants to view the full schedule or session details on-the-go. 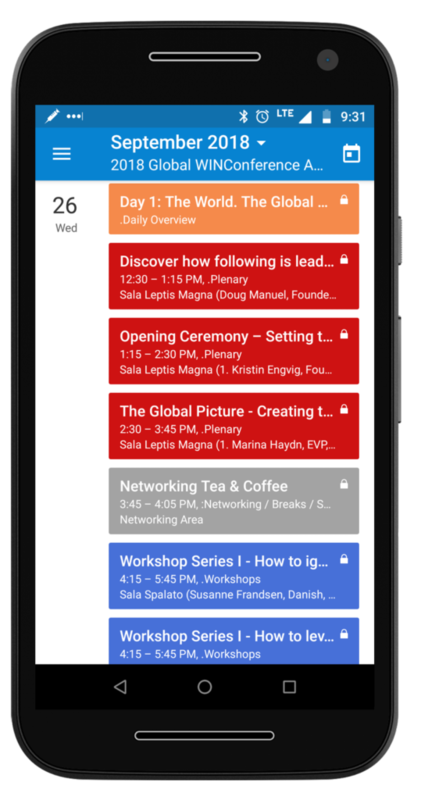 Schedule updates made by conference organizers were automatically shown on the calendar accessed on mobile, so participants stayed up-to-date. See a demo of the WINConference agenda on the iOS app or on a mobile browser. Easy event sharing options: The WINConference organizers could easily share any event as a stand-alone webpage, then share the link to that event page on social media. Participants could then use the sharing buttons on the event page, as well. New event sharing options on mobile make sharing and promoting events even easier. An event page link shared on Twitter leads to the event page seen below. 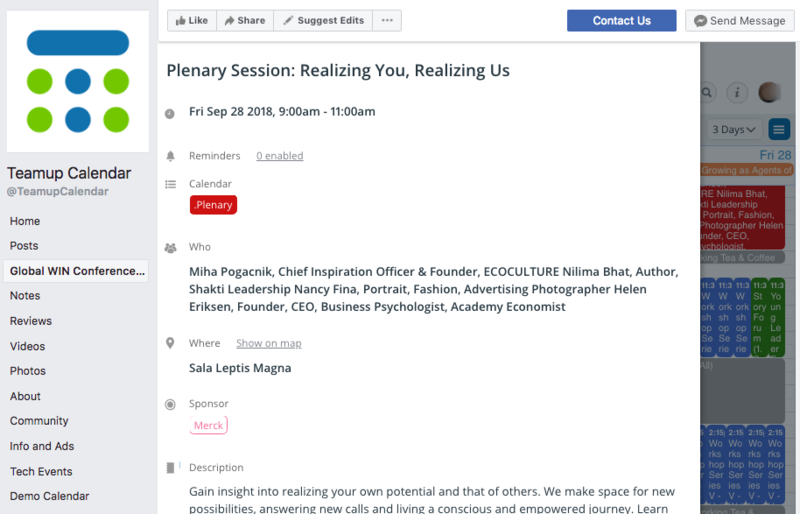 An event page for a conference session. Embedded calendar on a Facebook page: With the entire WINConference calendar embedded on a Facebook page, last-minute changes were instantly available to attendees who “live” on Facebook, in real-time. 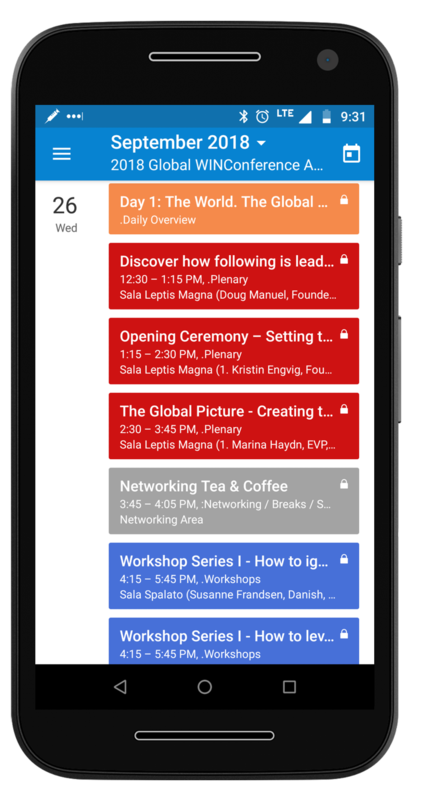 Even if participants had not downloaded the Teamup mobile app or saved the calendar link, they could see the full conference agenda and all session details, always up-to-date, on the Facebook page at any time. The WIN Conference agenda embedded on a Facebook page. The details of a conference session in view on an embedded calendar. With the right features, ease of use and accessibility are possible for a full conference agenda. Keep participants updated in real-time with your own Teamup Calendar. Thank you to the WINConference organizers for letting Teamup Calendar be part of this amazing event. Check out more examples of Teamup for conferences and for teams going to tradeshows.